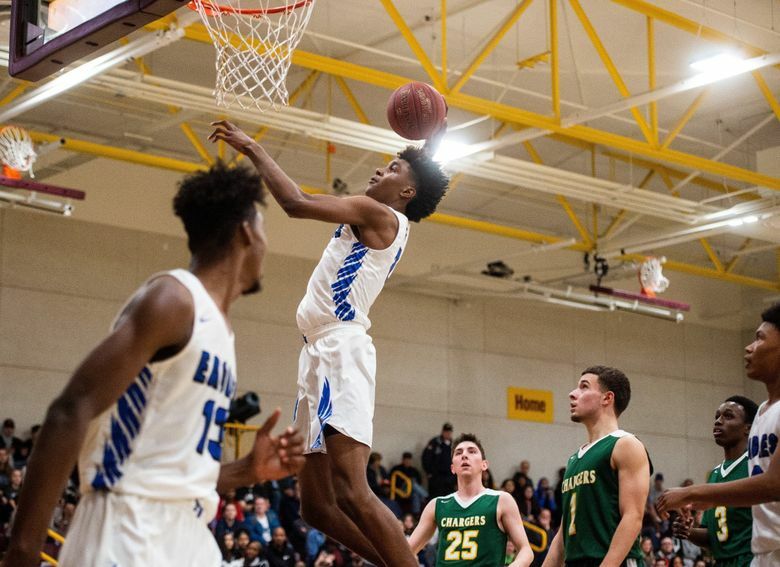 Jaden McDaniels had 31 points as the Eagles jumped out to an early lead and cruised past the Chargers 89-52. 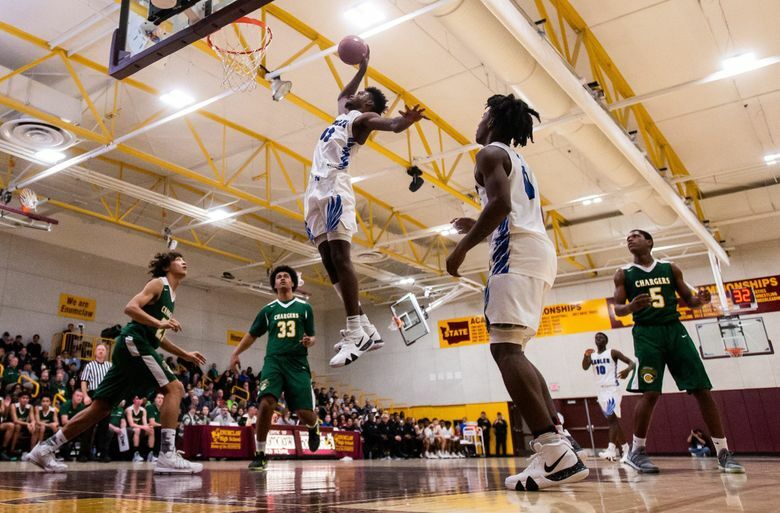 Before the Kentridge Chargers even knew what hit them, the top-ranked Federal Way Eagles built a 20-point lead in Saturday’s NPSL boys basketball championship game at Enumclaw High School. 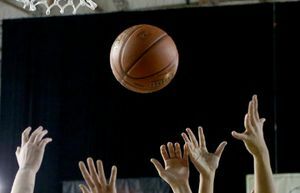 Thanks in large part to seniors Jaden McDaniels and Tari Eason, the Eagles (19-2) led 29-9 at the end of the first quarter en route to an 89-52 win versus the No. 7 Chargers (16-5). 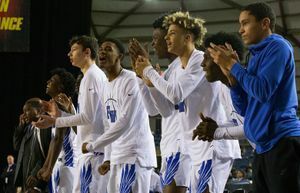 “That’s the plan in all of our games, to try and set the tone and not let teams get comfortable,” Federal Way coach Yattah Reed said. 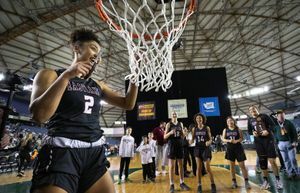 “Kentridge is a good team, and we know if we allow them to set up in their motion offense, that they can hurt us, so we wanted to come out and be aggressive and just set the tone. McDaniels and Eason combined to score 26 of the team’s 29 points in the first stanza, including several dunks that ignited the crowd. The Eagles’ lead continued to grow in the second quarter, where they outscored the Chargers 26-19 to lead 55-28 at halftime. McDonald’s All-American McDaniels had 25 and Eason had 21 at the intermission. McDaniels finished with 31 and Eason had 29. The lead and the margin of victory were large, but Reed said not to read too much into that.